I was just sent an excellent article called The tricky knack of a political narrative by Bernard Keane on the challenges of having your vision heard in these days. It also made me think about Fremantle Council’s vision and narrative. Our vision is clear to me but that’s because I live and breathe its implementation every day but maybe not to everyone else. Well that’s my quick stab at our vision from a rain-soaked Cocos Island. I’d love your feedback. BTW Keep your ear out for a likely announcement of community visioning shortly. treasures, The Kimberley,” said John Butler. the longest chain of dinosaur footprints on the planet. With the Kings Square business plan passing council on Monday night, Freo residents can expect to see some great changes in our town centre over the next year. The sliding doors of Myer’s Fremantle department store whooshed shut for the last time last month. For long-time residents, the retailer’s departure after 40 years signals the end of an era. And, for a historical port city going through a time of unprecedented change, it may just open more doors than it closed. 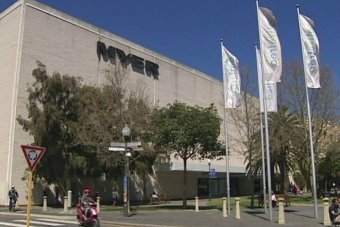 Myer’s decision not to renew its lease in Fremantle was blamed on a raft of factors, including sluggish sales and high rental rates. Only two of the building’s four floors were used and, far from being a drawcard for shoppers, the store stood practically empty on weekdays. By the time it closed, the City of Fremantle had been aware of Myer’s flagging performance for several years. A 2010 council report flagged serious shortcomings with the city’s retail precinct, including the distance between major shops, a lack of variety and several “dead spots”. It also revealed the vast majority of residents surveyed were choosing to shop in other suburbs other than Fremantle. Not surprisingly, 48% nominated the port city as their preferred place to eat out. But, when it came to fashion, homewares and gifts, the majority ditched Fremantle and headed straight to Garden City shopping centre in Booragoon. Bob Stanton, from the Independent Retailers’ Organisation, believes Myer opting out of the city is indicative of a wider trend, with customers abandoning high street shopping in favour of sprawling malls. “Fremantle is all about strip shopping, and shopping strips are dying all over Australia,” he said. Mr Stanton says the introduction of seven-day trading has also robbed Fremantle of a key selling point. Fremantle writer Colin Nichol, who has been monitoring the vacancy rates since 2005, says there are about 84 empty shops in the city’s CBD, twice as many as when he first began a tally. They’re all problems Fremantle Mayor Brad Petitt is well aware of. He says bumper-to-bumper traffic and packed car parks every Saturday and Sunday are testament to the popularity of Fremantle’s fresh food and tourist market. The weekend rush is in stark contrast to other days of the week, when trade is quiet. “We know our challenge is to make Fremantle work as a vibrant economy for seven days a week, not three,” he said. The 2010 retail report has become the blueprint for an ambitious overhaul of Fremantle CBD’s retail precinct. At the centre of the plan is the Kings Square precinct, which includes Fremantle’s library, council offices, visitors centre, car parking and the Myer building. The $220 million project will involve council selling several buildings and the car park to Perth-based company, Sirona Capital Management, which already owns the Myer building. This week councillors voted to formally adopt the business plan for the project, paving the way for Sirona to redevelop buildings and fill the space with tenants. It will be the biggest single redevelopment in the city’s history. “What we’ll see is a range of speciality shops moving in (to the Myer building), rather than a department store moving back in,” Mr Pettitt said. “Above that will be several floors of office space. The council hopes to hold an international architecture competition with the winner designing buildings in the civic square. Mr Stanton believes Fremantle’s fresh market is its biggest drawcard and wants to see it expanded. He envisions a grassed area with plenty of buskers and the party atmosphere Fremantle is known for. He says the markets could even be moved to the old Myer site as part of the Kings Square development. Mr Pettitt says the council is working hard to capitalise on Fremantle’s market atmosphere. “They are one of the things that define Fremantle, that sort of distinctive market produce that you can’t get anywhere else,” he said. “I think the future of shopping here is going to be about (providing) a place where people come for a unique experience and produce they can’t get anywhere else, rather than trying to compete with shopping centres. “We’d be happy to see the markets expand but we’re also working on other day-time markets five days a week in our main square. Work has also started on boosting the number of permanent residents, guided by the council’s retail model plan. Last month, housing density in non-heritage areas was increased in a bid to quadruple the number of people living in the CBD. The car park squeeze Mr Pettitt refers to is being addressed, too. “Not only are we looking at providing substantial new parking as part of the redevelopment, but also making that parking more user friendly, such as making the first hour free in major carparks and half an hour free on the streets,” he said. Marcus Westbury is somewhat of an expert when it comes to revitalising a struggling city centre. Several years ago he started a non-profit group called Renew Australia, at a time when the NSW city of Newcastle had around 150 vacant shops in its CBD and key retailer David Jones closed down. His organisation convinced building owners to lend their otherwise vacant spaces for free. “We then made those buildings available to creative enterprises and ended up launching more than 90 projects in about four years,” he said. “We targeted designers, artists and craftspeople who were not retailers in the traditional sense, but who added a lot of interest to an area. “Many already had successful online businesses but we encouraged them to open physical businesses as well. Mr Westbury spoke about the concept at an urban planning forum in Perth. “One thing we’ve learned is that activity creates activity,” he said. “If new things are opening and the area is full of original things, it attracts people and goes from there. Fremantle council runs a similar program using its own buildings and has commercial buildings in its sights. Mr Pettitt says work has started on convincing local building owners to get involved. “I would like to see this expanded so we have no empty shop fronts in Fremantle,” he said. He is philosophical about Myer’s decision to leave Fremantle, reasoning the move opens more doors than it closes. “The end of the 40-year lease came at a very challenging time for department stores, when the future of retail was, and still is, being questioned,” he said. “Certainly when a store like this leaves there is a sense of crisis. Great video on interactive skate plazas – ideal for Freo perhaps? Andrew Sullivan just sent around this excellent video. When skateboarders / place makers / filmmakers Tim Yuen and Mat de Koning (2011 WA Young Filmmaker of the Year) were unsatisfied with the generic skate facilities that segregated skaters from the public spaces, they succeeded in finding a way of bringing their hobby into the public realm by consolidating public art and recreational activity. I think this is a model that will work well for Esplanade Park and what we are working towards. The Kings Square project will potentially cross another hurdle this Monday night (11.2 at 6pm) when the Fremantle Council will have a Special Council meeting to consider what has the potential to be the biggest urban renewal project Fremantle has ever undertaken. We have worked very hard on getting this project right and I am increasingly of the view that this project is going to be key if we are to make revitalize the Fremantle CBD and get more diverse retail and good jobs back into Fremantle . Council adopted a draft business plan in November 2012 for the sale and redevelopment of a number of properties in the Kings Square precinct. In accordance with the Local Government Act requirements, the plan was advertised for public comment. A total of 27 submissions have been received and are required to be considered by council. Council may adopt the Business Plan with minor amendments without the need to readvertise. If major amendments are made the Plan is required to be readvertised for a further period of 6 weeks. 2. The building architecture as shown in the images in the Business Plan. Whilst council has adopted Urban Design Guidelines for Kings Square, the issue of traffic in Newman court will need to be resolved separately to this process as the Guidelines provide flexibility on this matter. Detailed design of the public realm spaces will need to be undertaken once council decides to proceed with the redevelopment proposals. To address the many concerns about the architecture, it is suggested by officers that council give consideration to conducting an architectural competition for its proposed new library, visitor centre, civic centre and administration building. Details of the conduct of such a competition will be the subject of separate report to council through the Planning Services Committee. A summary of submissions is included in Attachment 1 together with a suggested brief response to each matter raised. A more detailed written response will be provided to each submitter following the council’s determination of submissions. Council is now required to determine whether it will adopt the Business Plan with or without amendment, or not adopt the plan. Mr Westbury, founder of Renew Australia, has been heralded as the saviour of Newcastle in New South Wales after his revitalisation project brought new life to the city. Mr Westbury, who will speak at an urban planning forum in Perth this week, said there were parallels that could be drawn between Newcastle and the struggling city of Fremantle. “In Newcastle we had a David Jones which was the largest department store in that part of town,” he said. “It closed about three or four years ago, but the vacancy rates have actually improved dramatically since then. Mr Westbury said rather than a death sentence for Newcastle, the departure of David Jones made room for a diverse range of stores, which led to more pedestrian traffic in the area. He said he had already been contacted by residents and the City of Fremantle expressing interest in learning more about the Renew Newcastle project, as well as from other cities, including Geraldton. Mr Westbury said high rents and inflexible lease arrangements often prevented small, creative ventures from getting off the ground. But while a lack of interest in moving into the area was also a factor in other cities he had worked in, he said he did not think that was the case in Perth. “It’s more that the long-term expectations are really high, but in the short term they are not necessarily able to be met,” he said. The Centre for Economic Development of Australia forum will be held at Crown Perth on Wednesday.